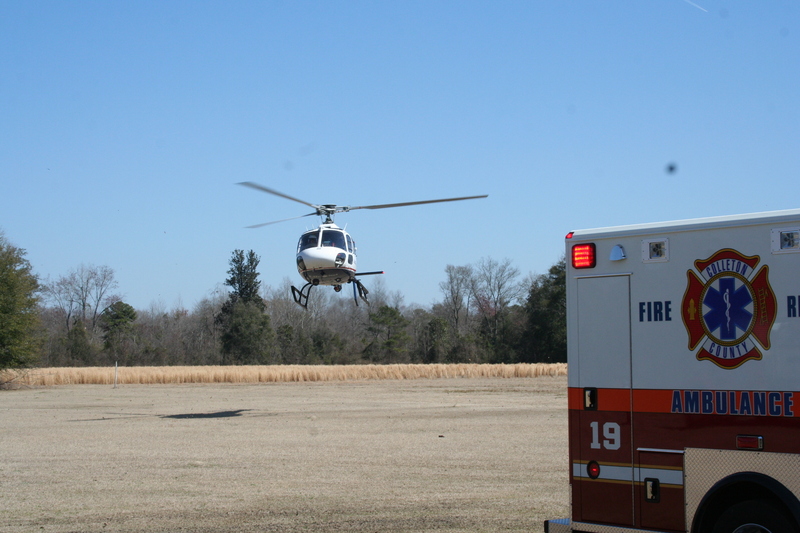 Click here to view Colleton County Fire-Rescue's latest video. A midday house fire at 706 Azalea Drive, brought Stations 1, 19, 26 and 27 to the quiet neighborhood of Hyde Park at 1339, 30-March. Medic 27 arrived first, reporting heavy fire visible with 50% of the structure involved. Engine 26 was on scene within minutes and deployed two 1-3/4 handlines. Firefighters quickly knocked down the bulk of the fire and began ventilating the duplex apartment. Click here for more information. Stations 1, 2, 6 and 27 responded to a single car MVC at the intersection of ACE Basin Parkway and Stallings Drive at 3:36 PM Sunday 29-March. 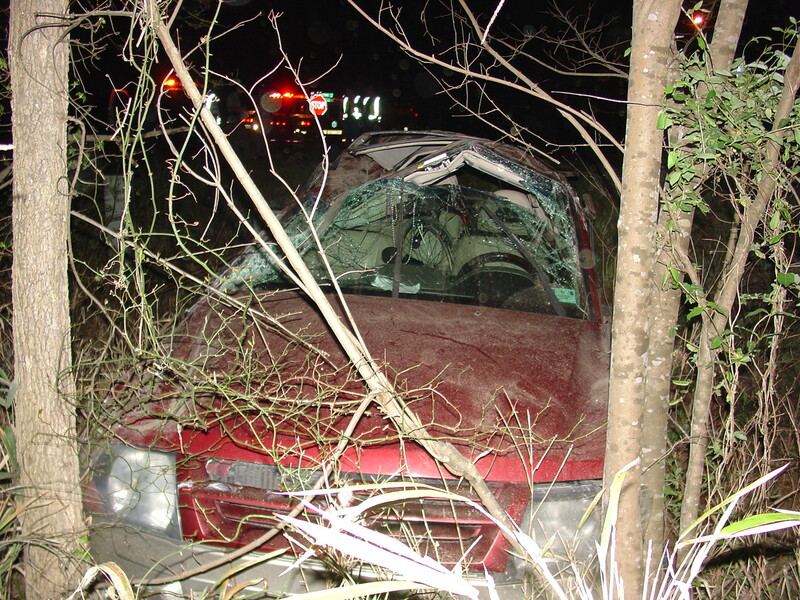 The south bound car left the roadway and struck several trees. The vehicle received only moderate damage, but the two teenaged occupants were not wearing seatbelts. Despite the deployment of the airbags, both received severe leg injuries and multiple fractures. Click here for more information. 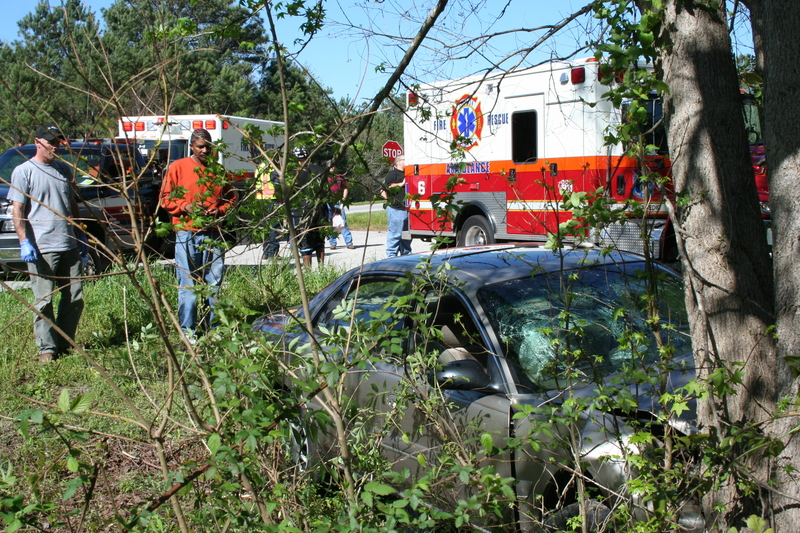 Stations 9 and 19 responded to a single car MVC at the intersection of Cottageville Hwy. and McDanieltown Road at 0409, Saturday morning 28-March. The initial caller reported an overturned vehicle with ejection. Medic 9 arrived an found a male patient lying in the roadway on McDanieltown Road. The man suffered severe leg and head injuries. A Mitsubishi Montero was seen down an embankment. Click here for more information. Stations 1, 9, 19, 27 and City of Walterboro Public Safety responded to a house fire with entrapment at 202 Price Street within the City Limit of Walterboro. The fire was dispatched at 12:42 on Wednesday 25-March. Truck 111, Battalion 1 and Medic 27 arrived within four minutes to find heavy smoke coming from the single story house with flames visible in the front room of the residence. Six Colleton County Fire-Rescue personnel entered the structure through the rear door, without the protection of a hose line, and began searching for the 85 year old man. Click here for more information. Firefighters Christina Sanford and Jim Sherry attended the Flammable Liquids and Gas Firefighting (FLAG) class at the SC Fire Academy in Columbia, 21-March. 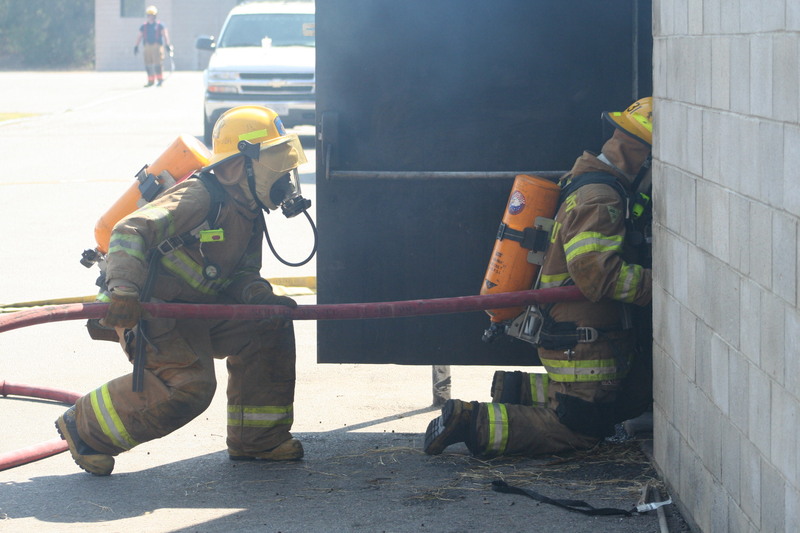 The two local firefighters were part of a 45 member group taking the training class. 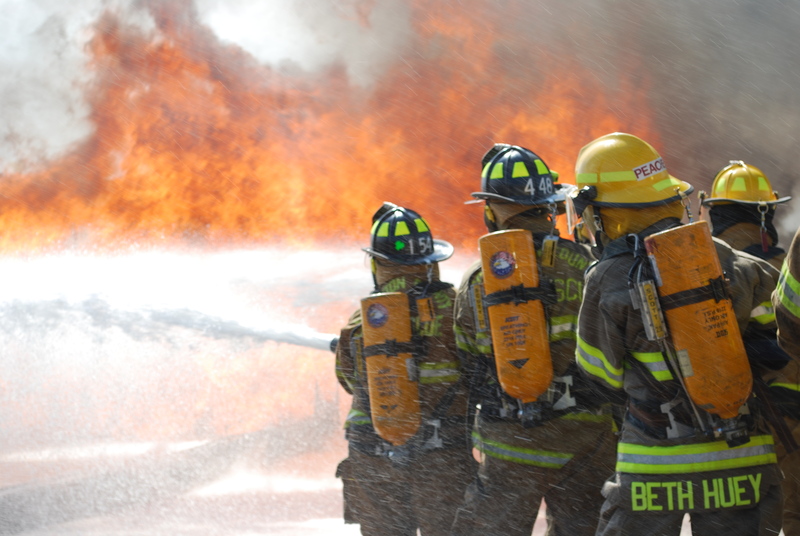 This course provides students with the training and skills to meet NFPA 1001 standards for Firefighter II. The course covers basic theories, foam applications, valve manipulation and tactics associated with flammable liquid and gas fires. Click here for more information. 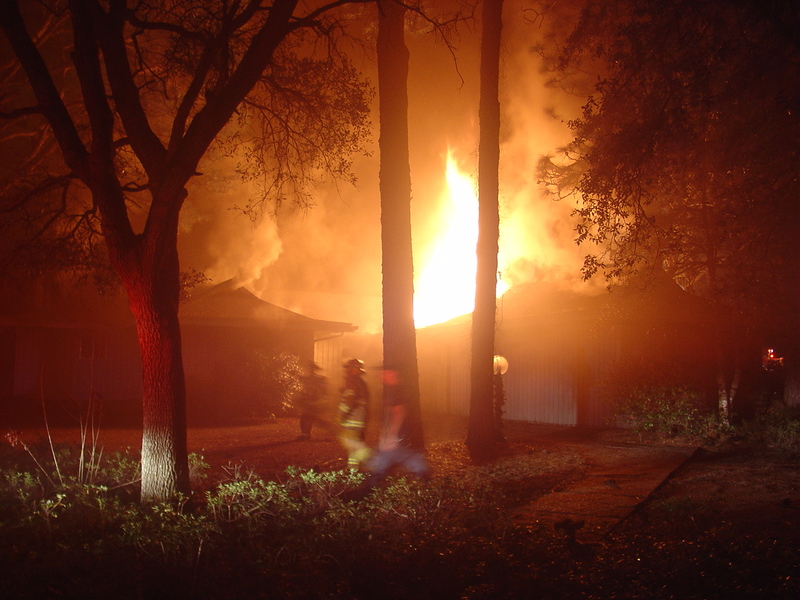 At 1730, Tuesday evening 24-March, Station # 6 was dispatched to a woods fire in the 500 block of Hickory Hill Road. Shortly after the dispatch, the call was upgraded to a structure response, reporting a house at 594 Hickory Hill Road was also on fire. Stations 2, 12, 22 and 25 were also sent to assist. Engine 6 arrived to report a large slow moving woods fire with one structure fully involved and a second home endangered. Click here for more info. 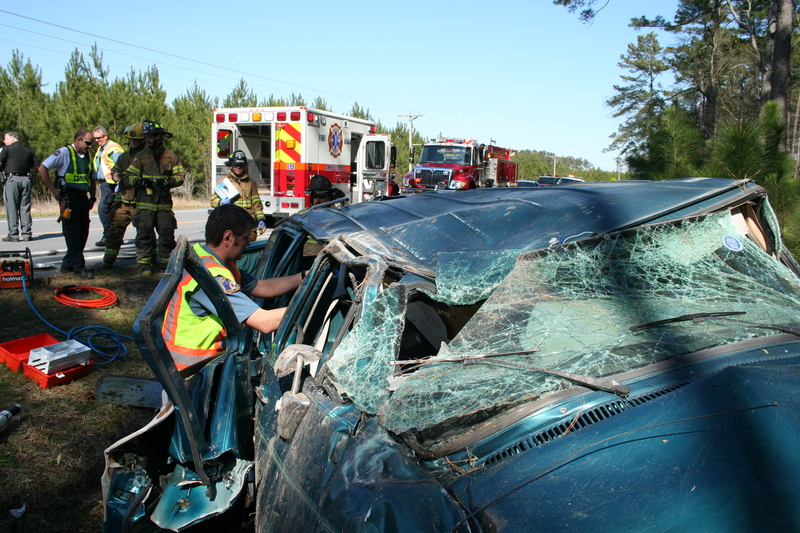 3/22/2009- Motor Vehicle Collision with Entrapment & Air Evac. Stations 1, 4, 18, 26 and 27 responded to an overturned vehicle with entrapment, Sunday afternoon at 1530. The single vehicle accident occurred on Bells Hwy. near Mazio Circle when a full size van left the roadway, overcorrected and rolled over several times. Initial calls to 9-1-1 reported multiple patients with several people trapped. Click here for more information. 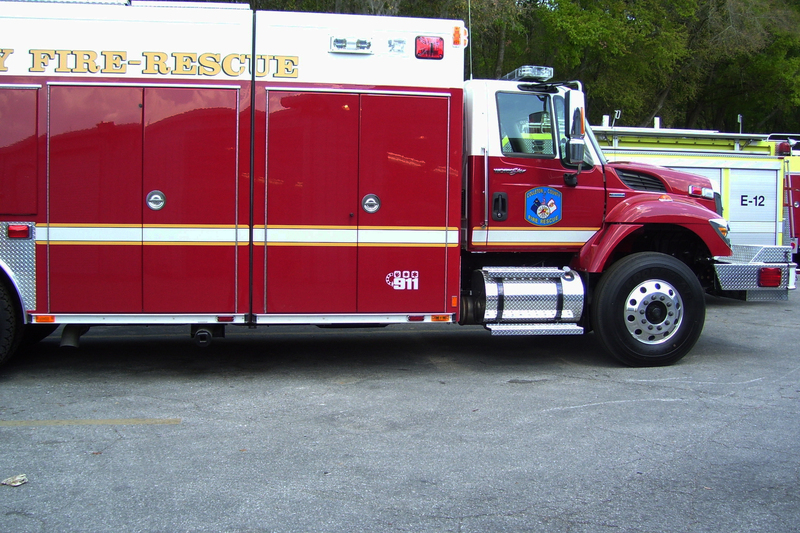 We have received word from E-One that the new Rescue is nearing completion. They forwarded some updated photos. The truck still has to have the winch installed, which will be placed in the center of the front bumper where they currently have a stripe. Click here for more information. 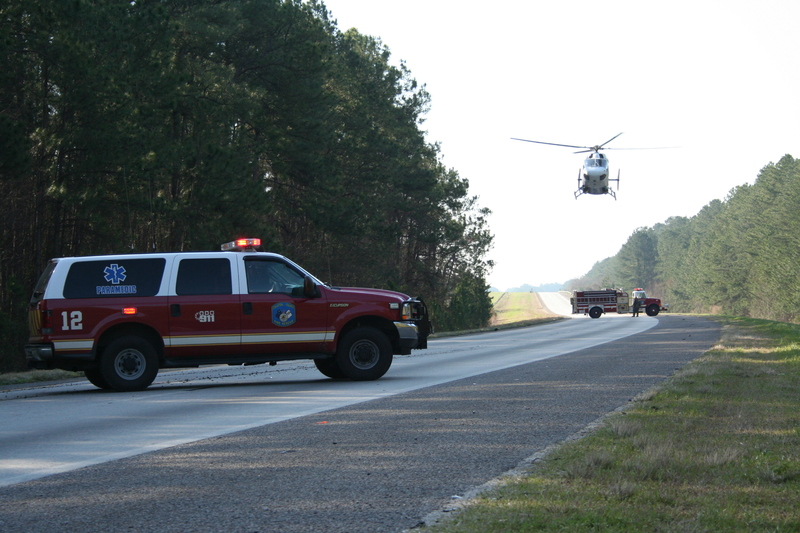 Medic 27, Truck 111 and Walterboro Public Safety units responded to a car vs motorcycle accident in the 700 block of Bells Hwy. in front of the Captain Ds Restaurant, Thursday 19-March at 1255. The driver of the car was not injured in the collision, however the motorcycle operator received severe injuries to her head and legs. Click here for more information. On March 26th at 1900hrs at Station 19, Detective Carter with the Colleton County Sherriff Office will be presenting a lecture on the Meth labs for first responders. This is not required, but on a volunteer basis. You are welcome to attend. Below is a description of the class. Any questions please contact the Training Division. This class describes the hazards present and precautions needed when dealing with drug lab chemicals, booby-traps and other paraphernalia. This course is especially designed for the first responder and describes personal protective equipment, recognizing and identifying possible drug labs and operating at an emergency incident which may be involved. Stations 1, 5, 9, 19, and 27 responded to a 1-1/2 story residential dwelling fire at 171 Sawmill Road at 1640 17-March. Engine 19 arrived 7 minutes later to find the second story had already collapsed into the first floor. There were heavy fire conditions present. Firefighters used two 1-3/4 handlines to knock down the fire before they could enter the structure. They had the fire contained within 20 minutes. Click here for additional information. The annual Safe Kids Fair was held Friday and Saturday, 13 and 14 March at the National Guard Armory. Friday was very active with all public school third graders visiting each of the exhibits. 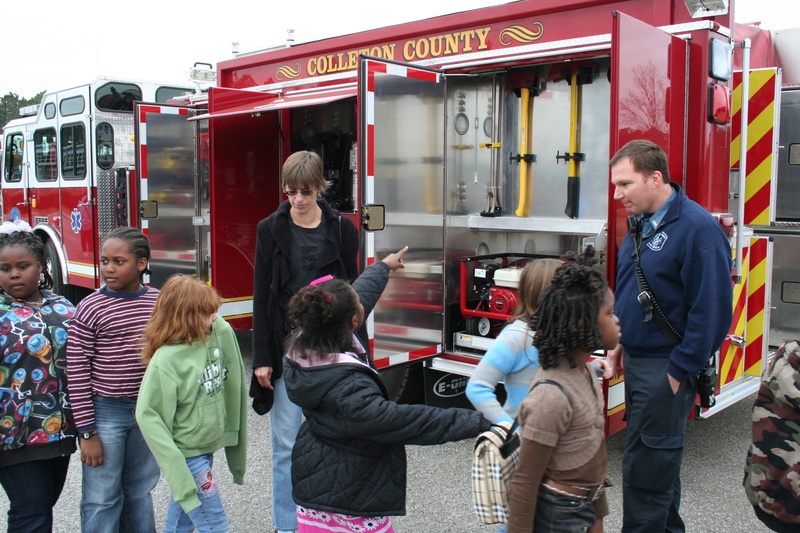 Fire-Rescue conducted one of about sixteen exhibits to teach the children about safety in their daily lives. Engine 19, Medic 19 and Medic 27 were on display, which allowed the children to tour and ask questions... Click here for more information. We offer our condolences to the Bryan family from Station 4. Kathy Bryan, the wife of 35 year veteran firefighter James Bryan and their two sons, Firefighters Jamie and Matthew Bryan, passed away this morning (11-March-09). The Bryan family has been actively involved in the Colleton County Fire Service for decades and are always willing to lend a hand when needed. Visitation will be held at Herndon Funeral Home on Bells Hwy. in Walterboro this Friday from 6 to 9 PM, with funeral services being conducted at Bethel Methodist Church located at 16147 Lowcountry Hwy. south of Bells Crossroads. The church is near the intersection of Lowcountry Hwy. and Bethel Road/Hudson Mill Road intersection. Services will be begin at 11:00 AM on Saturday. 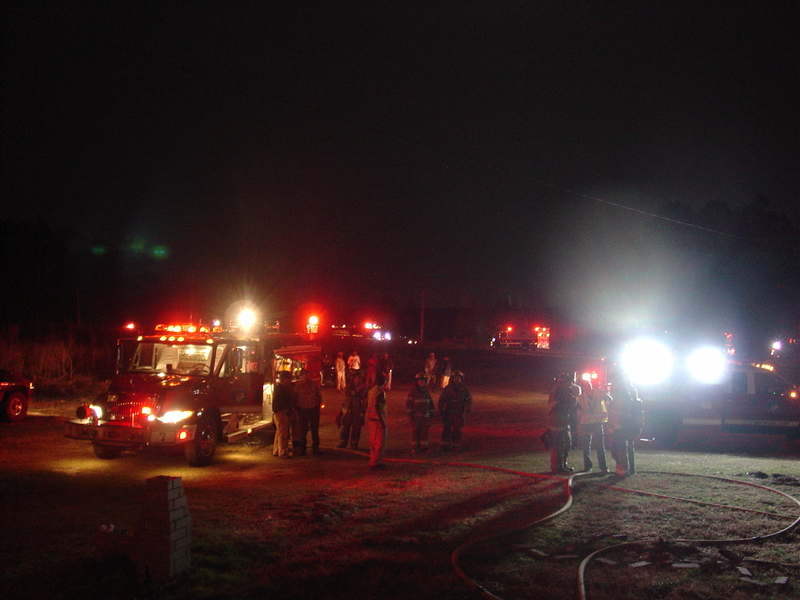 Stations 4, 5, 7, 17 and 18 responded to a structure fire at 2813 Drain Road in the Johnsville Community Tuesday evening, 10-March at 2124. Two people passing by saw the fire and alerted 9-1-1. They then stopped and went to assist. No one was at home in the doublewide mobile home so the two men located a garden hose and began spraying water on the fire. They were able to keep the flames in check until Engine 7 arrived to overhaul the burned wall and floor with an 1-3/4 hand line. Click here for more information. 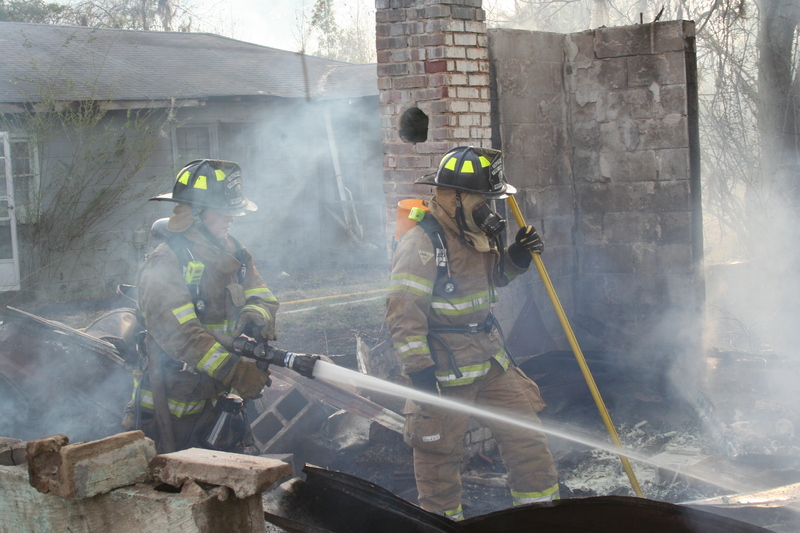 Colleton’s 1152 basic firefighter class completed testing Saturday, 7-March. 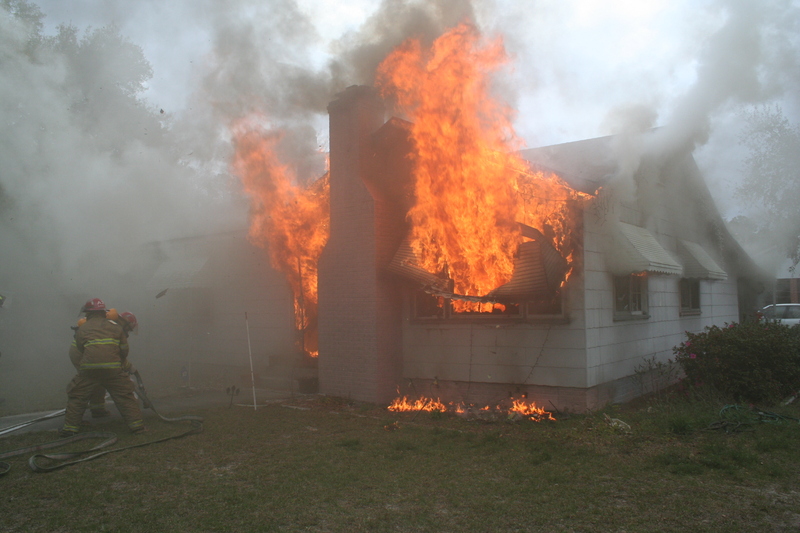 Students and Instructors traveled to the Marine Corps Air Station in Beaufort to utilize the base’s burn building. This was the first class to be tested under the Fire Academy’s new 1152 curriculum, so there were some bugs to be worked out. The written portion was administered on Wednesday. Click here for additional information. Stations 1, 5, 19 and 26 responded to a high speed MVC on I-95 southbound at the 65 mile marker Saturday morning 7-March at 0816. Apparently a southbound Budget Rent-a-truck left the roadway and struck several large trees in the median. The Chevy van suffered major frontend damage trapping the driver in the wreckage. Click here for more information. 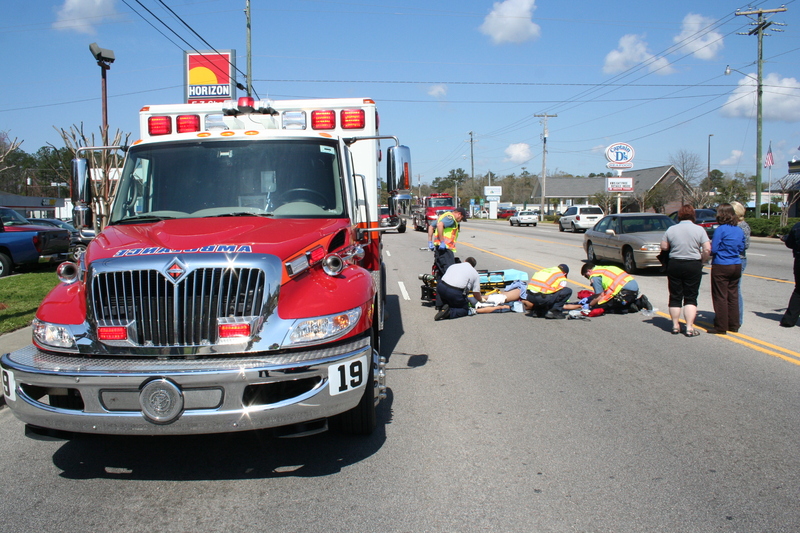 Stations 5 and 19 responded to a two vehicle accident on Jefferies Hwy. at the intersection of Augusta Hwy. (Canadys Crossroads) Thursday afternoon 5-March at 1259. A small Saturn collided with a BMW motorcycle in the intersection injuring two people. The operator of the motorcycle was not wearing a helmet and suffered head injuries as well as other trauma related injuries. Click here for more information. Stations 2, 6, 8, 12, 21, 22, 25, 27 and 28 responded to a two alarm residential structure fire at 9314 Bennetts Point Road, 4-March at 2002. 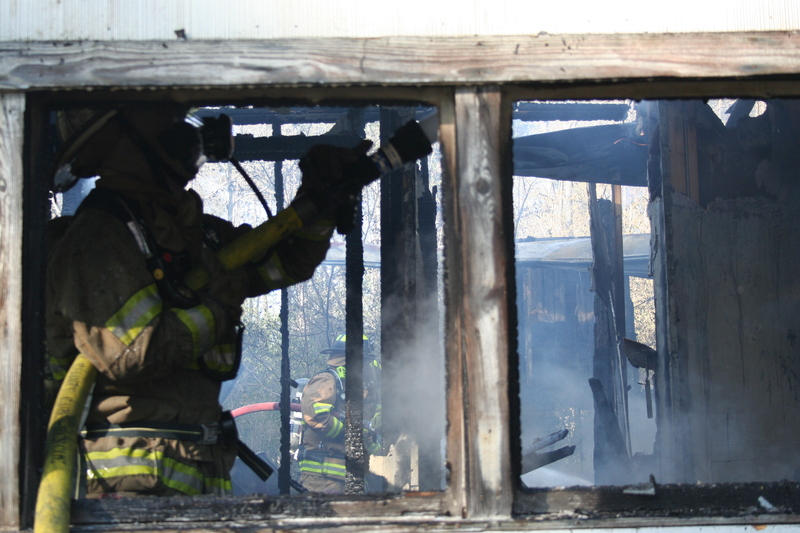 This was one of three structure fires that occurred Wednesday. The first involved smoke in a single family residence at 2458 Black Creek Road at 1000. A chimney fire was the culprit and quickly extinguished. The second structure fire was located at 908 Poplar Street and was the result of a gas line leak at the hot water heater. Click here for more information.